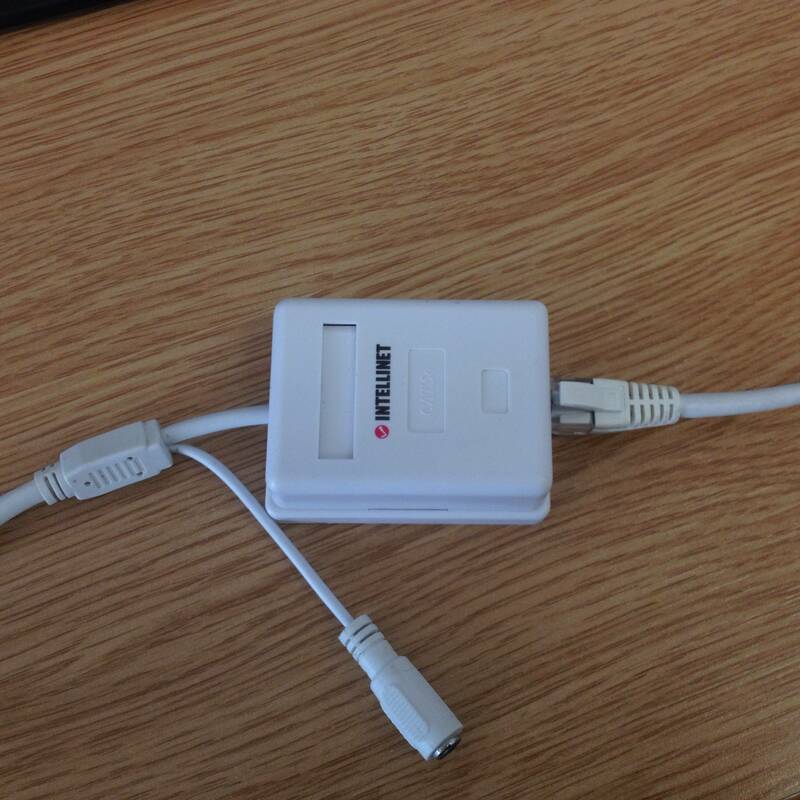 Recently we've had a few customers who have experienced some issues with the PoE connectors on the pigtail of their Hikvision device that has caused it to stop receiving power. This can be as a result of a lot of things - faulty weatherproofing leading to corrosion within the connector, damaging it or just plain bad luck. We have since investigated this issue and found a way to replace the connector rather than necessitate a complete replacement. Thankfully it's relatively straightforward! 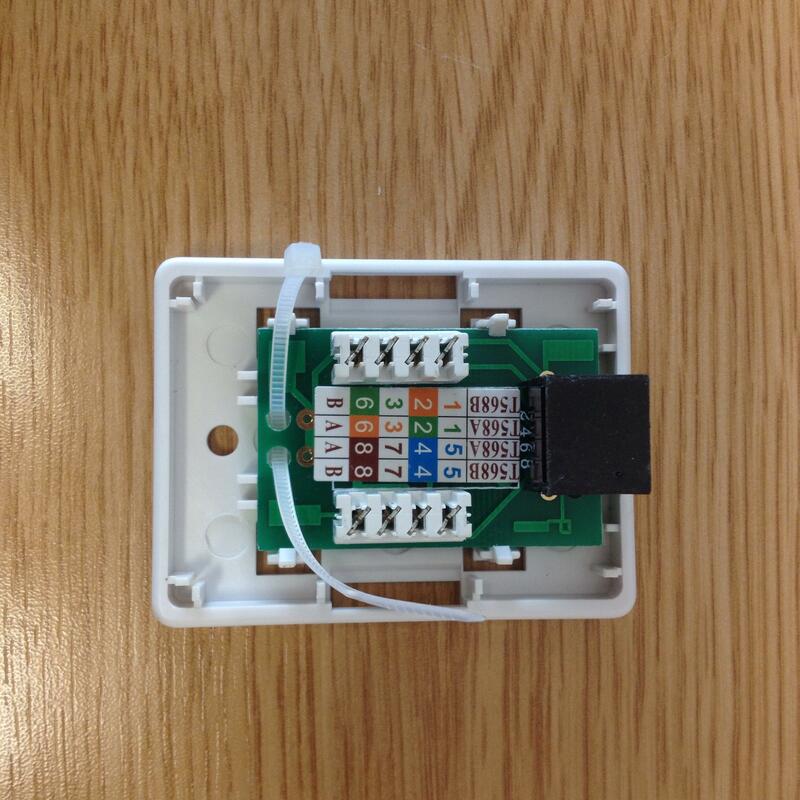 All you'll need is a Cat5e surface mount box which can be found cheaply online and a punch-down tool. First of all, you'll need to chop off the faulty PoE connector from the cable connecting it to the camera using a sharp tool, knife or pair of scissors even. It shouldn't matter a great deal where you cut the cable but it's preferable to do it close to the connector itself - try and keep the cut straight. 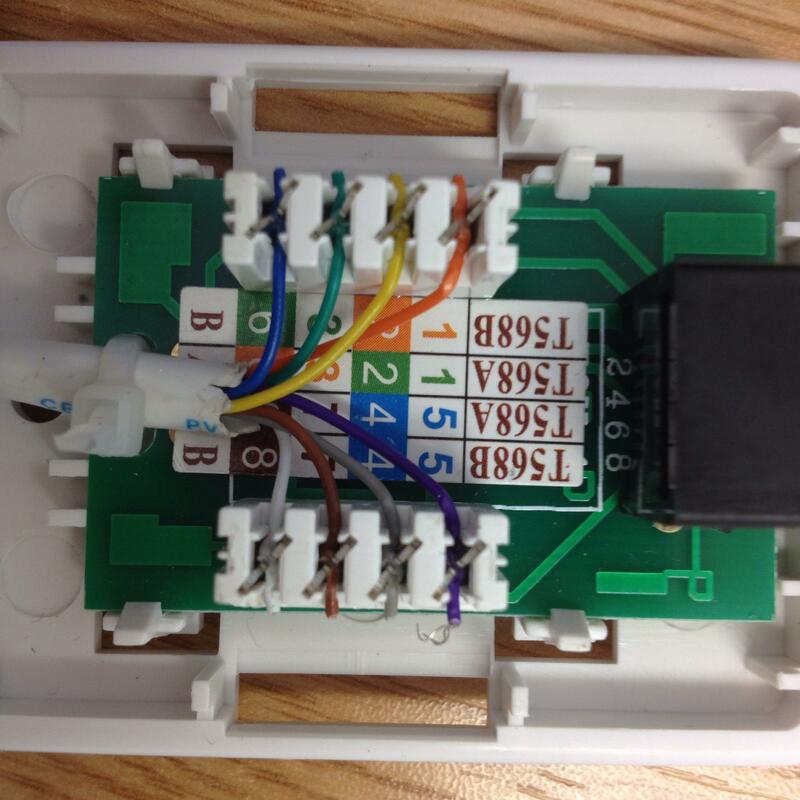 Now, strip the cable that you've left yourself with back approximately an inch to expose the 8 coloured wires within. Usually these cables are coloured to a very common standard but, presumably due to Hikvision being a Chinese product, the coloured wires may not follow this standard. 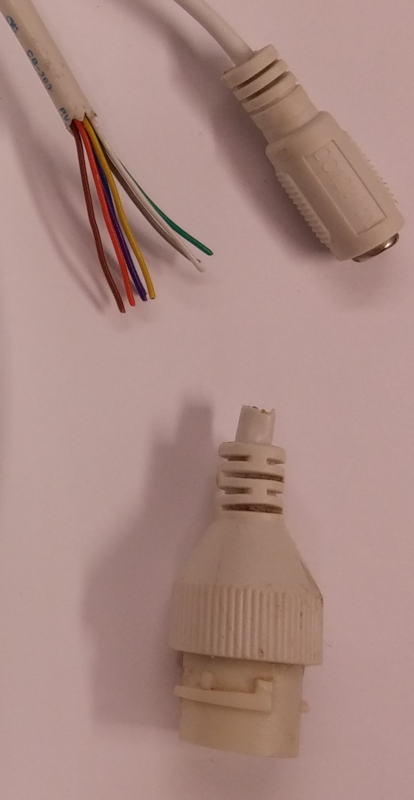 Below is an image of what we were met with and what wire from the usual standard each colour corresponds to. It is absolutely vital you get this correct - the device will not function otherwise. Now, take your surface mount box and open it to reveal the inside. It should look something similar to the below. You'll note that there are two standards you can adhere to - the T568A and T568B standards. You'll need to follow the wiring pattern indicated by the T568B standard for this to work. Now, take your exposed coloured wires and place each coloured wire into the corresponding slot on the surface mount box (with reference to the Hikvision colour conversion posted above). You'll need to punch them down using your punch-down tool. Once you've completed this, you're done! Simply secure the cable with a cable-tie if possible, close up the surface mount box and mount it to a wall if you require and the camera should be functioning perfectly fine once you connect a standard RJ45 network cable to the box. A bit of a workaround, but definitely a lot better than having to replace the entire camera! 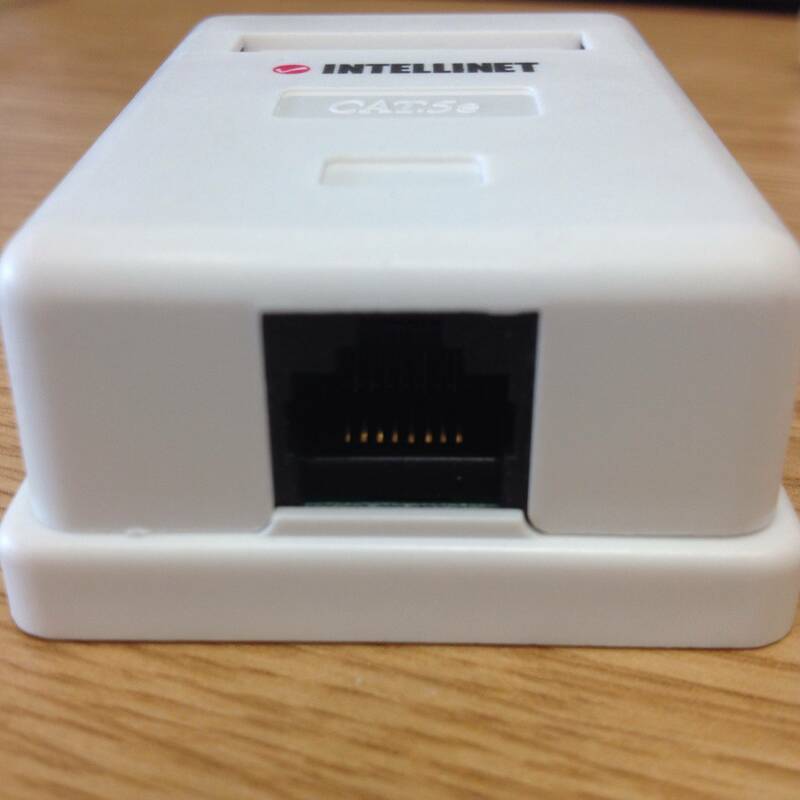 In this guide, we used the Intellinet single-port Cat5e surface mount box and a damaged Hikvision DS-2CD2532F-I which you can purchase (undamaged, don't worry!) from our webshop. I managed to pull the RJ45 plug off the end of one of my cameras when I had to pull it out of a hole that was too small for it to go through. Many thanks for sharing this Kieran as you've saved me a lot of hassle trying to work out the strange wiring colours myself. However, after following your wiring colours above as I still couldn't get it to work. As you had started with the first 3 T568B colours in order I wrongly assumed that carried on. Finally figured out the next day with a clear head that I messed up the wiring. If it makes it easier for anybody here is Kieran's list in the standard T568B ordering from pins 1 to 8. 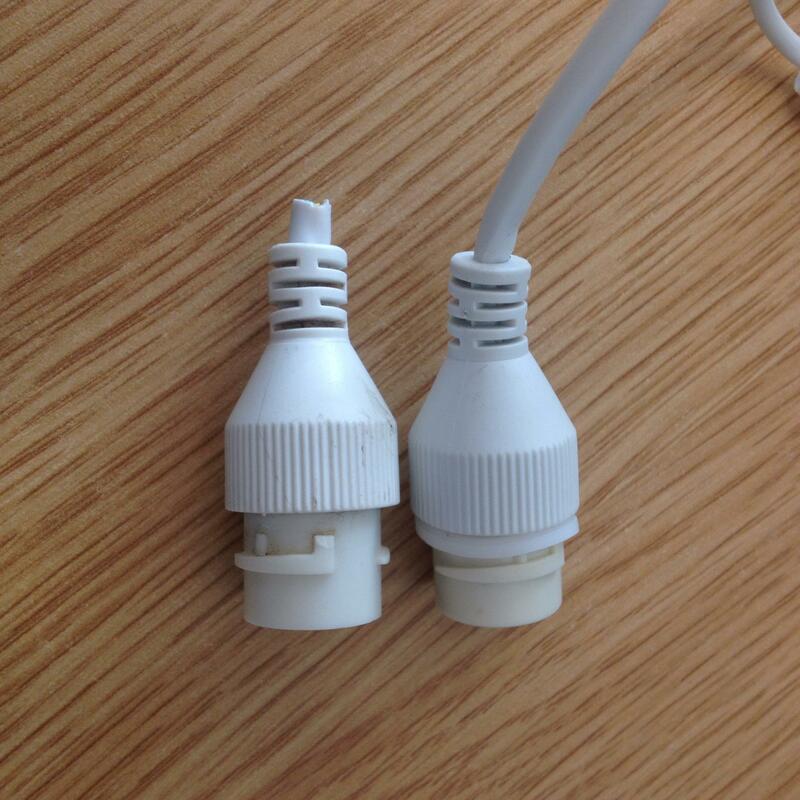 I did mine slightly differently and put a standard RJ45 plug on the camera end and used a cheap coupler I had knocking about similar to the one below. THIS PROGRAMMING ALSO SERVED FOR THE MODEL IP-CAMERA DS-2CD2032-I AND IF IT IS NOT THAT YOU CAN HELP ME WITH THE CORRECT ORDER OF CABLES FOR THAT CAMERA. THANK YOU. Yes, the cabling would be correct for that camera model. do you know if this cabling layout would be the same for camera DS-2CD2135FWD-I? i believe i have damaged the POE connector and wanted to try this fix before binning it! Hope this helps someone, of course the next camera could be different again! thanks for the update, i tried this on a camera that is unused (but broken POE connector) and noticed that on the list you have the Hikvision colour black used twice?! Sorry, the last pin should be Blue on the camera connects to Brown on the Cat5 - I've corrected the list! I got my Bu, Bk and Bn mixed up! It does work - pic from the camera attached. This does make me wonder about dielectric grease in the connectors, to protect them against corrosion. Searched that topic a while back with no great success. Do know that my Davis Weather station, which has 6 RJ-11 jacks on it's control board did arrive this it's jacks all generously coated with some type of dielectric grease. Sorry, you'd need to contact the manufacturer for their colour code. If you still have the part with the plug attached, you could find someone who owns a multi-meter & knows how to use it. They would be able to easily trace the 8 pins to their colours. Is it normally possible (of course it is possible, but is it likely) that the wire connections are fubar'd from Hik from day 1? The wiring of the pigtail seems really weird to me. Here's a drawing of the connection from the RJ45 end and the molex plug end. Does this wiring seem right, Green/white & Blue/white are not connected to anything on the molex? I tested it twice to be sure and this is the way it rolls. That does look odd from the point of view of the data connections. A quick thought, does the camera also have a power jack for an external power supply? It might be worth trying that and connecting the camera to a non-PoE switch, just in case the power requirements are different (or faulty). Hey Ian, thanks for the advice, but I managed to sort it yesterday. Our camera has a pigtail with an RJ45 and a 12v plug, and it does support PoE. The problem though, as it showed in my drawing was a disconnect on the green/white and blue/white wires. In the molded wire split, there was a bad connect on those two wires. They would only work once in a while when the wire was wiggled "just right". Long story short, I cut the wire, put a new RJ45 socket and all works like a charm! Installed a DS-2CD2H85FWD 4K varifocal turret camera last week, it worked for a day then stopped, seemed a bit damp in the RJ45 socket when I took it down, this camera doesn't have the little pigtail extension cable though, it has a little connector module screwed into the inside of the hinged lid. 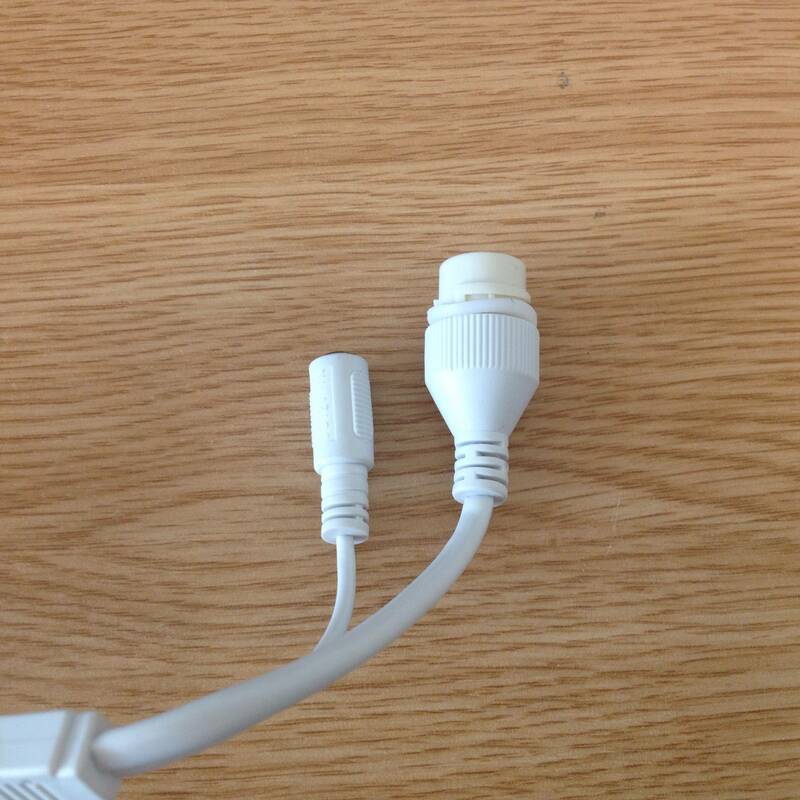 Has anyone tried to fix one of these or is it possible to buy the connector module anywhere and swap it myself? Hate to necro this thread, but I wanted to give a shout-out to the OP. I had a Trendnet TV-IP310PI that had a corroded Ethernet socket from being used outdoors for 3 years. Was able to snip off the ethernet connector on the camera, and fixed it using the instructions in the OP's post above. Now it's back up and running! In principle it should be similar. Try removing the two screws holding the ports to the hinge, and see if you can wiggle free the ethernet jack. See what it looks like.